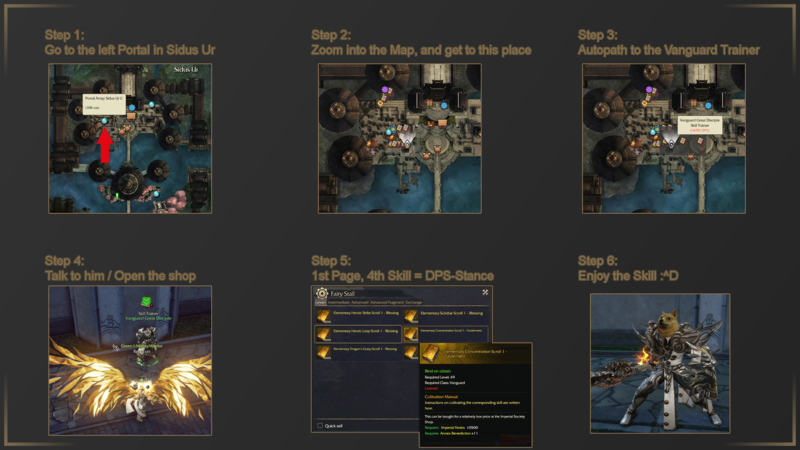 Revelation Online - Vanguard Class Guide - Stats, Skills, Basics [ENG] - Reaccon - Videos, Guides and more! in order to become a great Tank. but will provide several recommendations. It will still be your own job to make best out of it, and improve your Skill by experience and knowledge. The Vanguard-Class is the standard (Main-) Tank, but also foremost Melee-Class in Revelation. Vanguards are Leaders and valiant Protectors on the Battelfield, because of their impressive array of defensive abilities. They have extreme survival abilities and control skills to endure damage or give their teammates opportunities to attack, defend a foothold. Also it has a decent damage mitigation due to its AoE-Abilities. • Melee – physical combat. A formidable tank, protected by an enormous shield, the Vanguard leads the charge and protects teammates. 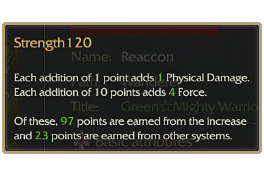 Vigor is the Main source of additional HP and Phys-Def. So we want to have lots of it! Spirit will give us Magic-Def. and HP aswell. to compansate the gap between Phys.- and Magic-Def. for overall DPS aswell as for Aggro. Following Builds are just used to be examples! You need to adjust it yourself, depending on Gear/Level and Knowledge. that already have a moderate Knowledge about the Class, and know how to handle it. This Build can be very difficult and also expensive, at the endgame content. The first Passive, will automaticly be unlocked. Basic Attack – regular auto attack. adds Bleeding Effect to Target for 6 sec. Can be used during a Jump or in the Air. Combo-kills are your F1-F6 skills. 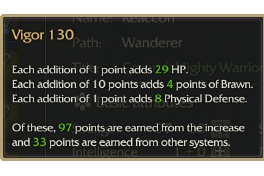 You can only have 3 out of 4 abilities active at the same time, for each Path. 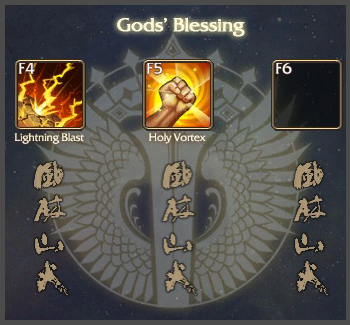 and your God´s Blessing Resources are generated by the Amount of taken Damage. Sundering Steel Lei Fei – Break Shield throwing ability that deals lots of Damage. It can double the Damage, if Targets HP is below a certain Amount (%). 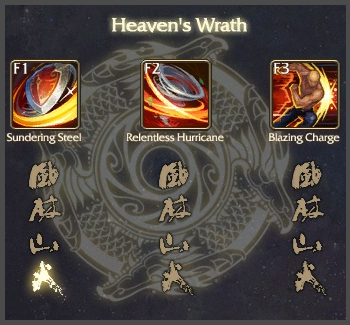 Relentless Hurricane Yan Lei – turn Channels a 30 Second Spin-To-Win Skill. Grants CC-Immunity (very interesting for PvP). Can be canceled by jumping or dashing. Blazing Charge Ponley – Punching Charge-Skill, which charges straight forward (facing direction). Can Kock-Back and Kock-Down enemies inside Charge-Range. Smite Raytheon – One Massive Area of Effect Knock-Down. Multiple Knock-Downs in a row, to Enemies inside the AoE-Radius. Requires quite huge Amount of Resource. Pretty high Damage Output (Burst). Thunder Strike Thunder Shake AoE-Knockdown with decent Damage. if you use it wisely. Holy Vortex Capture Massive AoE-Pull. Moderate Damage. The Range is a bigger than it’s visual Effect. Can be used as Taunt-Skill, while being in Def.-Stance. Shield Storm Absolute Guardian Great Damage mitigation Skill. but also deals little Damage to surrounding Enemies. Roads are used to add additional Effects to your Combo-Skills. by clicking on the “Learn” button. you will have to offer a specific Amount of Daos. untill you have the required Amount of Daos stored/offered. I recently edited this Tab, and added Tank- and DPS-specific reccommendations. when the HP of the Target is low (certain percentage of HP). to increase the Knockdown duration. Aerial Skills can be used while flying (Wings activated). That will make you able to attack Targets from or in the Air. 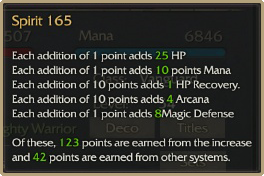 Arcane Arts are additional/optional Talents, which can change or add Effects to your normal Skills. You can find them, by pressing “K” to open the Skill-Overview. Click on the Blue Bubble, at the Bottom, to open the Arcane Arts-Tab. 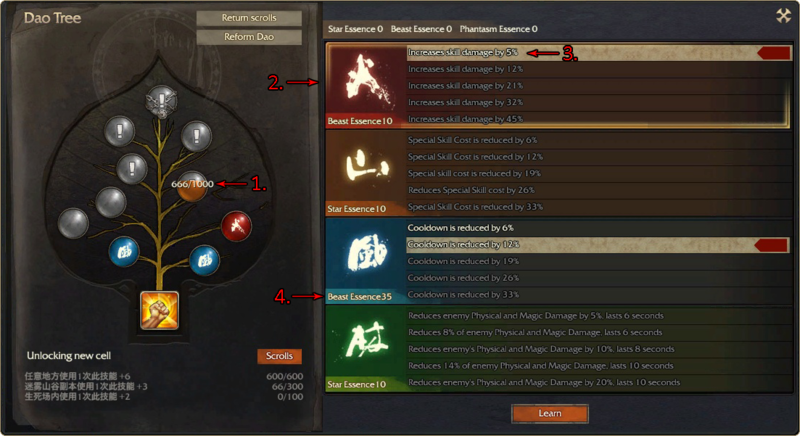 In there you can add/adjust Effects of your Damage (Normal) Skills. Benetnash Both, Def- and Damage-Stance can be very useful! Generating Threat and maintaining Aggro are two very important characteristics of a Tank. Understanding these and their difference, is very important for your overall performance as a Tank. Threat is a means to determine the the amount of hostility bewtween a mob and the player. Each mob has a threat table, and every person who performs amount of hostility actions will be put on that table. Thread can either be generated by dealing Damage or by Healing. Usually, Threat gets generated by a 1:1 ratio with damage done to the mob, and a 1:2 ratio with healing done. Also Tanks usually generate way more Threat than Healers, due to their DPS. Threat normally does´t decrease over time or otherwise, unless their is a mechanic to lower or vanish it. Last but not least, your Threat will reset if you die, or leave the battle (for example: Disconnect). Having aggro means having the highest amount of threat against a mob, and that mob attacks them because of it. Thats what Tank should aim for. Important fact, theres Situations where you dont want to have Aggro of certain Mobs. For example: Special Boss mechanics in Raids, which require a second Tank or other Teammates to gather Mobs at a different place. Also important to know, is that you dont just get “Aggro” by simply overtaking Threat on the Mob/Boss. It will require you to keep increasing the Threat continuously, to be able to hold the Aggro. Especially if you have DPS-Classes with higher level or better Gear in your party. Tanks need to have Rotations, just like DPS-Classes. and Resources for their Combos to be able to hold the Aggro. We will go further into Rotations later on. – Others: like Buffs/Debuffs, Taunt, CC, etc. As Main-Tank its your job to start encounters, whether in PvP or PvP. That means, you will have to Charge/Pull the Bosses/Mobs in Dungeons. Always make sure you let your Team know, if youre ready or not. This should give you the opportunity to gain the initial Aggro. Also i would recommend using Heroic Leap as your “Main-Charge”. Even if theres other ways, to get the initial Aggro, this will be the safest way to initiate. especially those which can generate lots of Threat. To be able to initiate your Fights with Skills that will generate lots of Threat. Be prepared to use your Taunt abilities (example: Indomitable Will), in case you lose Aggro. Make sure to save them, for the “worst case” (losing Aggro), to regain it as fast as possible. There will be Situations where you have to pull single or few Mobs (Adds), during a Fight (Dungeins, Raids). These Situations require you to use your Pulls, or other ranged Attacks to generate Threat on the Adds. You should always be aware of this Situation, and have some sort of a backup plan for it. Which generally means, try to not have all ranged Skills or Pulls on Cooldown at the same time. Try to always stay in good Position to your Healer! There will be Times when holding Agrro can become very Difficult, just as mentioned before. Being Outgeared, Outleveled or even switching off Targets, can be such reasons. Thats why its so important to know your Skills, Effects and their priority perfectly! Proper knowledge of your Skills will, in most cases, guarantee that you do not lose aggro. you can use Dragongrip (Arcane Arts) as additional Threat Skill, but this is not necessary! try to use Skills like Holy Vortex or Indomitable Will as often as possible! Also i would recommend using Smite, as long as the Situation allows it. Smite is a great burst (AoE) DPS-Skill (also Knockdown), and can Deal a great Amount of Damage in really short Time. But it also has a moderate Animation-Time, so you shouldnt use it in Situations where it could cost your life. Theres Situations, when you will need to regain your Aggro. For example by dieing (worst case) or unintentionally by getting Out-DPSed. Therefor we have Taunts, like Indomitable Will. Make use of your Taunt Skills, when the Sitation requires it. For Targeting in general, i would Recommend using the “Action-Mode”, and likewise Tab-Targetting. or lock a certain Mob/Boss, by hitting Tab a second time. Rotations are very important for our Overall DPS and Aggro. We always want to improve our Rotations, and optimize them as much as we can. Please keep in mind, that following Examples are just Suggestions and not final, neither are they the one perfect Solution. which we will use to have a decent Rotation, aswell as to optimize our DPS. and not as Part of the Main-Rotation. For the Rotations itself i would recommend focusing on Animation-Canceling. Combo Skills will be Fillers for our Rotations. which we dont want to Ani-Cancel, even if they deal high Damage. You should still try to use them as often as possible (for example Smite, as Burst). Make sure to use them properly. 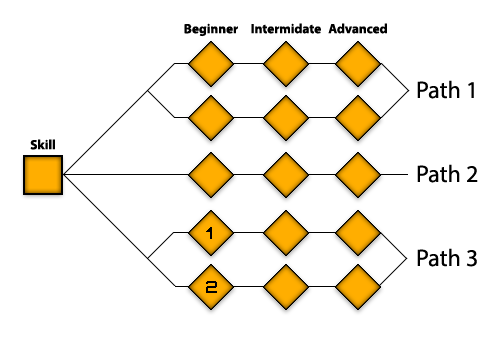 this will cost you too much time and make you lack DPS-Output. and Heroic Strike as Fillers to deal Damage, while waiting for CD´s to go off. Sidenote: Also the channeling/Animation for Light-Shield can be cancled. we need to know (or learn) how to cancel Animations. As said above, we will use Animation-Cenceling to Maintain and increase our DPS. So let me show you, how Ani-Cancel does work in Revelation. Theres different ways, to cancel Animations of a Skill. others will require you to Jump (Spacebar), or one of both. You can Ani-Cancle your Heroic Strike with literally every Skill you cast immediately after. This Skill does have two Stages, which can be Ani-Canceled. First Stage: You can simply Cancel the Animation of the first Stage by using another Skill immediately after activating it. Second Stage: you will have to Jump (Space Bar) after activating the second Stage. It will cancle the Channel-Time and hit the Target very fast, compared to the usual Cast-Animation. without it would take at least double the Time to use it for DPS. Following Rotations will just be Examples! I will not recommend only relying on those Examples. They are suggestions, and not the “perfect one and only way”.